Dr. Lisa Monteggia is the Ginny and John Eulich Professor in Autism Spectrum Disorders within the Department of Neuroscience at the University of Texas Southwestern Medical Center. She received her Masters Degree in Biology from the University of Illinois at Urbana-Champaign. Afterwards, she spent several years working in the industry world for a pharmaceutical company. She received her PhD in Neuroscience from the Chicago Medical School and went on to complete a postdoctoral fellowship at Yale University before joining the faculty at UT Southwestern. Lisa has received a number of awards for her excellence in research, including recently in 2011 the Rising Star Award from the International Mental Health Research Organization and the Daniel H. Efron Award for outstanding basic or translational research by the American College of Neuropsychopharmacology. Lisa is with us today to tell us about her journey through life and science. Lisa’s lab focuses on the role of the molecular and cellular basis of neural plasticity as it pertains to neuropsychiatric disorders. Her research interest has been focused in two areas. First, she is working to elucidate the mechanisms underlying antidepressant efficacy. Second, she is studying the role of Methyl-CpG-binding protein 2 (MeCP2), the gene linked to the autism spectrum disorder, Rett syndrome, on synaptic plasticity and behavior. 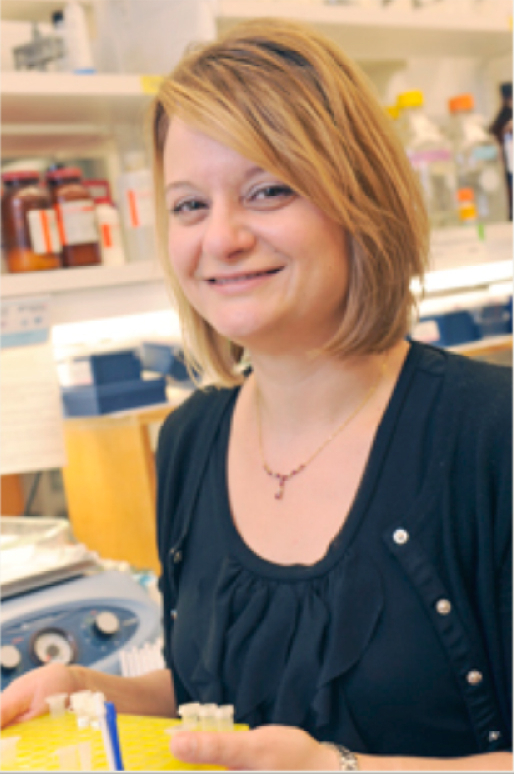 Her research encompasses molecular, cellular, behavioral and electrophysiological approaches using mouse models. In Fall 2002, Dr. Monteggia joined the Department of Psychiatry at UT Southwestern Medical School as an Assistant Professor. As an independent investigator, Dr. Monteggia received the 2005 Daniel X. Freedman Award from NARSAD for outstanding brain and behavioral research by a young investigator. In 2011, she received the Rising Star Award from the International Mental Health Research Organization. In 2011, Dr. Monteggia was also the recipient of the Daniel H. Efron Award for outstanding basic/translational research by the American College of Neuropsychopharmacology. Dr. Monteggia is an Associate Editor of Neuropsychopharmacology and a member of the editorial boards of the Journal of Neuroscience, Journal of Biological Chemistry and Biological Psychiatry. She has served on grant review panels for the National Institutes of Health, the National Science Foundation, as well as numerous scientific foundations. She recently was Editor to The Autisms: Molecules to Model Systems published by Oxford University Press.